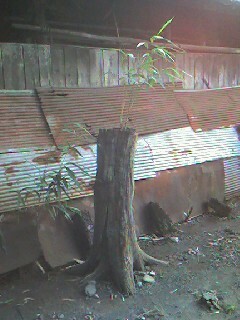 I found the bamboo growing from the old tree. 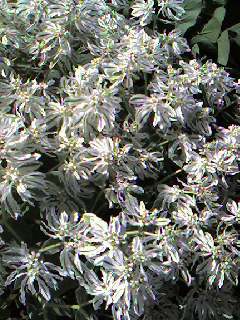 I become cool feeling only because I recall this name of plant. 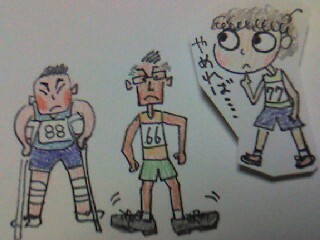 There were many strange runners in the marathon race in which I had participated. The heart of the summer is abnormal this year in Japan. I t is only welcome thing for me that the drytime of clay is early. 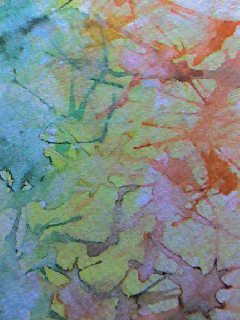 The summer vacation of OBON ended in Japan. The sightseeing posters pasted to the wall of the station are repering. 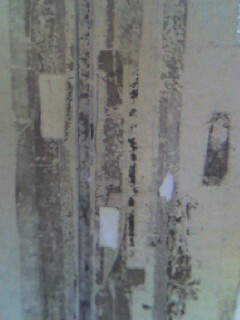 This photo is signs the posters were peeled off. 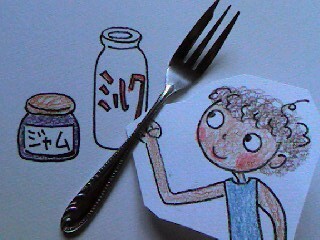 We come to want to eat the sherbet when a hotday continues in summer. 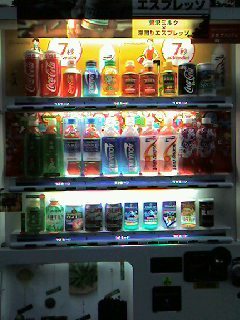 This year is a very very hot summer I have not experienced. 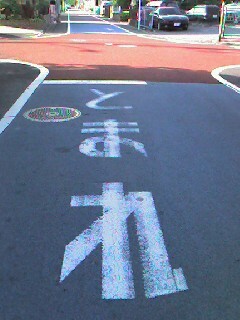 Whenever I pass this road, I guess the color of the character "STOP"is written on the road is wrong. I think that red colors are more suitable than blue. 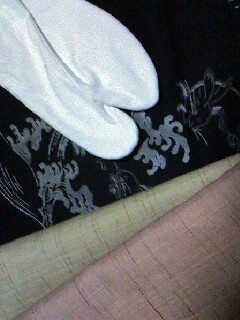 I intend to order my original design TABI ( KIMONO socks). I want to put on the TABI in my Synopia concert. 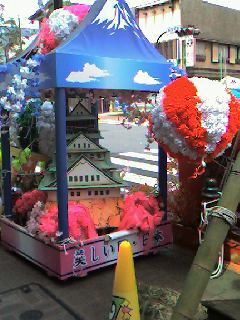 The TANABATA festival is held in the town where I live at 8/2-8/5.